Tinos is one of those sleeper hit islands. It’s known widely for its sacred Greek Orthodox pilgrimage site: the Church of Panagia Evangelistria, in the port and main town, Hora. But as soon as you leave the throngs in town, Tinos is a wonderland of natural beauty, dotted with more than 40 marble-ornamented villages found in hidden bays, on terraced hillsides and atop misty mountains. Also scattered across the brindled countryside are countless ornate dovecotes, a legacy of the Venetians. There’s a strong artistic tradition on Tinos, especially for marble sculpting, as in the sculptors’ village of Pyrgos in the north, near the marble quarries. 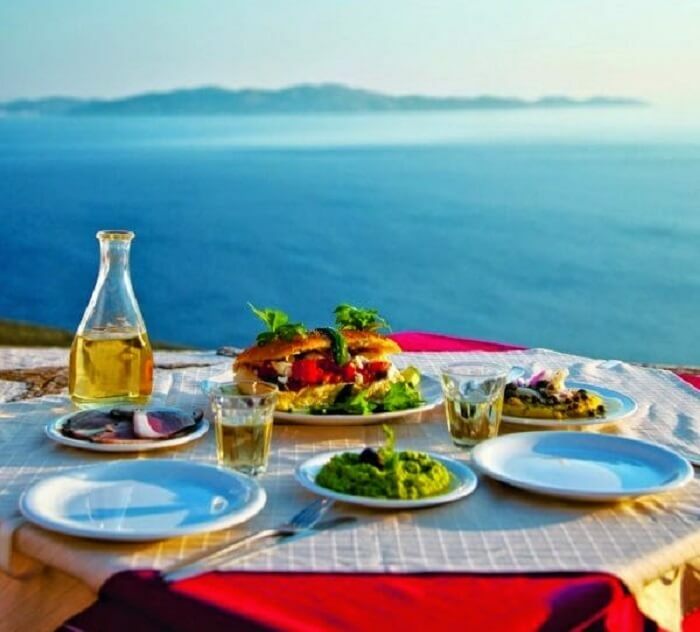 The food, made from local produce (cheeses, sausage, tomatoes and wild artichokes), is some of the best you’ll find in Greece.